Blitz the lime juice, chilli, amarillo paste, garlic and oil in a small jug with a stick blender. Mix through the coriander and season to taste with salt and pepper. Slice the fish into neat sashimi-style slices and lay them neatly on a serving dish. 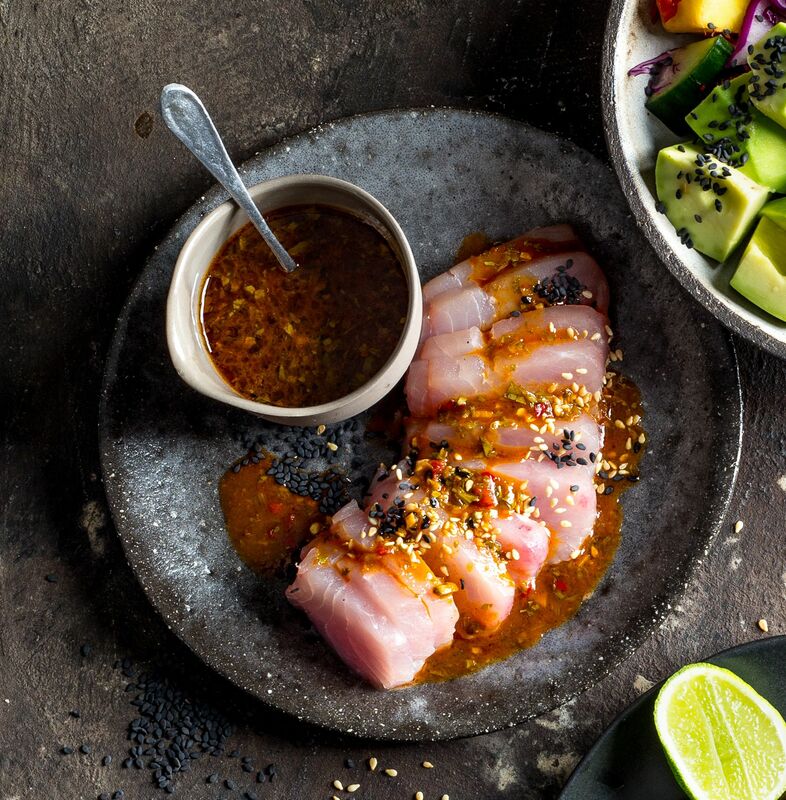 Pour the tiradito marinade over the fish and pepper with sesame seeds and any leftover coriander.